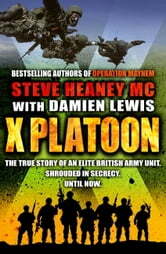 For three decades one of the most secretive units in the British military has been a mystery force known as X Platoon. Officially there was no X Platoon. The forty men in its elite number were specially selected from across the Armed Forces, at which point they simply ceased to exist. X Platoon had no budget, no weaponry, no vehicles and no kit - apart from what its men could beg, borrow or steal from other military units. For the first time a highly decorated veteran of this specialised force - otherwise known as the Pathfinders - reveals its unique story. 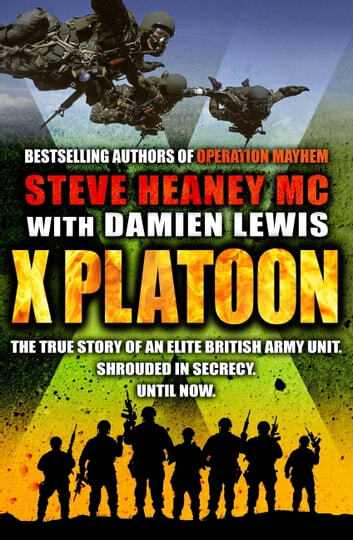 Steve Heaney became one of the youngest ever to pass Selection, the gruelling trial of elite forces, and was at the cutting edge of X Platoon operations - serving on anti-narcotics operations in the Central American jungles, on missions hunting war criminals in the Balkans, and being sent to spy on and wage war against the Russians. The first non-officer in the unit's history to be award the Military Cross, Steve Heaney reveals the extraordinary work undertaken by this secret band of brothers.